If the debtor's "current monthly income" is more than the state median, the Bankruptcy Code requires application of a "means test" to determine whether the chapter 7 filing is presumptively abusive. Abuse is presumed if the debtor's aggregate current monthly income over 5 years, net of certain statutorily allowed expenses, is more than (i) $10,950, or (ii) 25% of the debtor's nonpriority unsecured debt, as long as that amount is at least $6,575. The debtor may rebut a presumption of abuse only by a showing of special circumstances that justify additional expenses or adjustments of current monthly income. Unless the debtor overcomes the presumption of abuse, the case will generally be converted to chapter 13 (with the debtor's consent) or will be dismissed. 11 U.S.C. § 707(b)(1). A chapter 7 case begins with the debtor filing a petition with the bankruptcy court serving the area where the individual lives or where the business debtor is organized or has its principal place of business or principal assets. In addition to the petition, the debtor must also file with the court: (1) schedules of assets and liabilities; (2) a schedule of current income and expenditures; (3) a statement of financial affairs; and (4) a schedule of executory contracts and unexpired leases. Fed. R. Bankr. P. 1007(b). Debtors must also provide the assigned case trustee with a copy of the tax return or transcripts for the most recent tax year as well as tax returns filed during the case (including tax returns for prior years that had not been filed when the case began). 11 U.S.C. § 521. 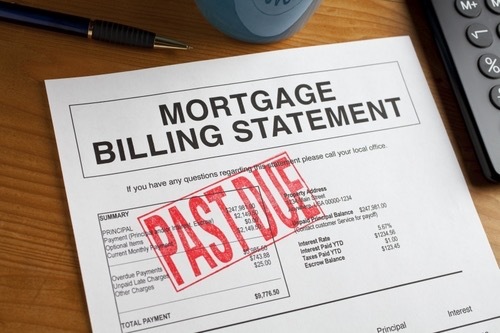 Individual debtors with primarily consumer debts have additional document filing requirements. They must file: a certificate of credit counseling and a copy of any debt repayment plan developed through credit counseling; evidence of payment from employers, if any, received 60 days before filing; a statement of monthly net income and any anticipated increase in income or expenses after filing; and a record of any interest the debtor has in federal or state qualified education or tuition accounts. Id. A husband and wife may file a joint petition or individual petitions. 11 U.S.C. § 302(a). Even if filing jointly, a husband and wife are subject to all the document filing requirements of individual debtors. 4. A detailed list of the debtor's monthly living expenses, i.e., food, clothing, shelter, utilities, taxes, transportation, medicine, etc. Among the schedules that an individual debtor will file is a schedule of "exempt" property. The Bankruptcy Code allows an individual debtor to protect some property from the claims of creditors because it is exempt under federal bankruptcy law or under the laws of the debtor's home state. 11 U.S.C. § 522(b). Many states have taken advantage of a provision in the Bankruptcy Code that permits each state to adopt its own exemption law in place of the federal exemptions. In other jurisdictions, the individual debtor has the option of choosing between a federal package of exemptions or the exemptions available under state law. Thus, whether certain property is exempt and may be kept by the debtor is often a question of state law. The debtor should consult an attorney to determine the exemptions available in the state where the debtor lives. Between 20 and 40 days after the petition is filed, the case trustee (described below) will hold a meeting of creditors. If the U.S. trustee or bankruptcy administrator schedules the meeting at a place that does not have regular U.S. trustee or bankruptcy administrator staffing, the meeting may be held no more than 60 days after the order for relief. Fed. R. Bankr. P. 2003(a). During this meeting, the trustee puts the debtor under oath, and both the trustee and creditors may ask questions. The debtor must attend the meeting and answer questions regarding the debtor's financial affairs and property. 11 U.S.C. § 343. If a husband and wife have filed a joint petition, they both must attend the creditors' meeting and answer questions. Within 10 days of the creditors' meeting, the U.S. trustee will report to the court whether the case should be presumed to be an abuse under the means test described in 11 U.S.C. § 704(b). In order to accord the debtor complete relief, the Bankruptcy Code allows the debtor to convert a chapter 7 case to case under chapter 11, 12 or 13 as long as the debtor is eligible to be a debtor under the new chapter. However, a condition of the debtor's voluntary conversion is that the case has not previously been converted to chapter 7 from another chapter. 11 U.S.C. § 706(a). Thus, the debtor will not be permitted to convert the case repeatedly from one chapter to another. When a chapter 7 petition is filed, the U.S. trustee (or the bankruptcy court in Alabama and North Carolina) appoints an impartial case trustee to administer the case and liquidate the debtor's nonexempt assets. 11 U.S.C. §§ 701, 704. If all the debtor's assets are exempt or subject to valid liens, the trustee will normally file a "no asset" report with the court, and there will be no distribution to unsecured creditors. Most chapter 7 cases involving individual debtors are no asset cases. But if the case appears to be an "asset" case at the outset, unsecured creditors must file their claims with the court within 90 days after the first date set for the meeting of creditors. Fed. R. Bankr. P. 3002(c). A governmental unit, however, has 180 days from the date the case is filed to file a claim. 11 U.S.C. § 502(b)(9). In the typical no asset chapter 7 case, there is no need for creditors to file proofs of claim because there will be no distribution. If the trustee later recovers assets for distribution to unsecured creditors, the Bankruptcy Court will provide notice to creditors and will allow additional time to file proofs of claim. Although a secured creditor does not need to file a proof of claim in a chapter 7 case to preserve its security interest or lien, there may be other reasons to file a claim. A creditor in a chapter 7 case who has a lien on the debtor's property should consult an attorney for advice. If the debtor was represented by an attorney in connection with the reaffirmation agreement, the attorney must certify in writing that he or she advised the debtor of the legal effect and consequences of the agreement, including a default under the agreement. The attorney must also certify that the debtor was fully informed and voluntarily made the agreement and that reaffirmation of the debt will not create an undue hardship for the debtor or the debtor's dependants. 11 U.S.C. § 524(k). The Bankruptcy Code requires a reaffirmation hearing if the debtor has not been represented by an attorney during the negotiating of the agreement, or if the court disapproves the reaffirmation agreement.11 U.S.C. § 524(d) and (m). The debtor may repay any debt voluntarily, however, whether or not a reaffirmation agreement exists. 11 U.S.C. § 524(f). An individual receives a discharge for most of his or her debts in a chapter 7 bankruptcy case. A creditor may no longer initiate or continue any legal or other action against the debtor to collect a discharged debt. But not all of an individual's debts are discharged in chapter 7. Debts not discharged include debts for alimony and child support, certain taxes, debts for certain educational benefit overpayments or loans made or guaranteed by a governmental unit, debts for willful and malicious injury by the debtor to another entity or to the property of another entity, debts for death or personal injury caused by the debtor's operation of a motor vehicle while the debtor was intoxicated from alcohol or other substances, and debts for certain criminal restitution orders.11 U.S.C. § 523(a). The debtor will continue to be liable for these types of debts to the extent that they are not paid in the chapter 7 case. Debts for money or property obtained by false pretenses, debts for fraud or defalcation while acting in a fiduciary capacity, and debts for willful and malicious injury by the debtor to another entity or to the property of another entity will be discharged unless a creditor timely files and prevails in an action to have such debts declared nondischargeable. 11 U.S.C. § 523(c); Fed. R. Bankr. P. 4007(c).